"Consumers should not let a new fashion or craze cloud their judgment," National Trading Standards said. But it's not just ones bought online that could explode. 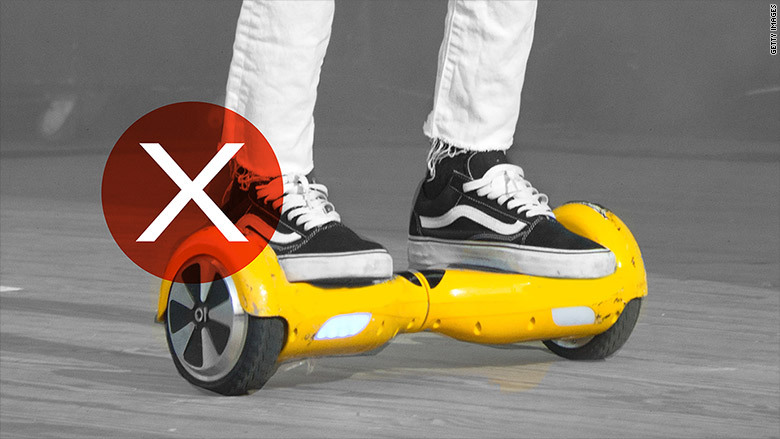 Major retailer Halfords recalled three types of "Air Runner Self Balance Boards" in November because the plugs did not meet British safety standards. And Costco Wholesale U.K. also sent new plugs to buyers of some Air Runner boards, saying "there could be a risk of electrocution." This hasn't stopped people using them around London. Enthusiasts say the boards don't go fast enough to be covered by bans on unlicensed motorized vehicles.